Juvederm is one of the best selling dermal fillers which are approved by FDA and are available for patients who have doctor’s prescription. 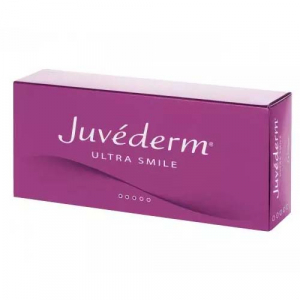 Juvederm comes into sensual purple packaging with the Allergan’s logo on the top. Juvederm also comes with a lidocaine version which eases the process for the practitioner and the patient by reducing the amount of pain during the procedure. Juvederm Gel is consistent and smooth with no granular texture involved to give patients desired results by increasing their facial beauty. 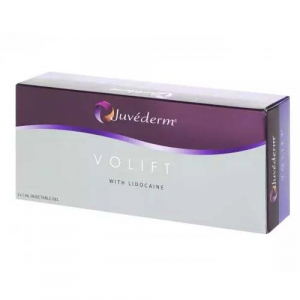 It is highly recommended by doctors to those patients who have facial problems such as nasolabial folds, wrinkles, dark circles, and other skin problems. People who use Juvederm can get benefit from it in shape of a natural facelift just from a single injection that gives long-lasting results for up to 12 months. After the treatment, you will find that your skin no longer sags, the individual would like to see his/her face again and again in the mirror to see the new and bright youthful look. Juvederm has a large range of products which are listed above. Please feel free to get in touch with us to get discounts on bulk orders. Can I buy Juvederm without a license? 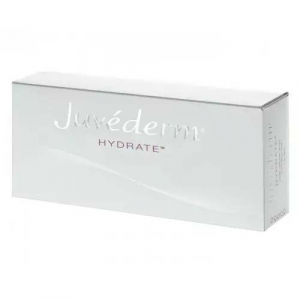 Yes, you can buy smaller quantities of Juvederm products for personal use if you are not a certified dermatologist. However, only authorized practitioners are allowed to use the product on patients. Do you ship to USA and UK? We do ship Juvederm products to the UK. However, we are not authorized to supply Juvederm products in the US market. Are there any discounts available on bulk orders? Yes, we do offer discounts on larger quantities please see the discount chart which is shown on each product page to avail the discounts. Contact us now for further details. Is it allowed in my country to buy Juvederm online? Most countries allow buying Juvederm from Online shops. However, there are some strict laws imposed in the USA and Canada which restrict the buyers from purchasing the products outside their countries.